I often say that the one thing that changed my life, ‘converted me’ if you like, was people being Jesus to me rather than any preaching or teaching. 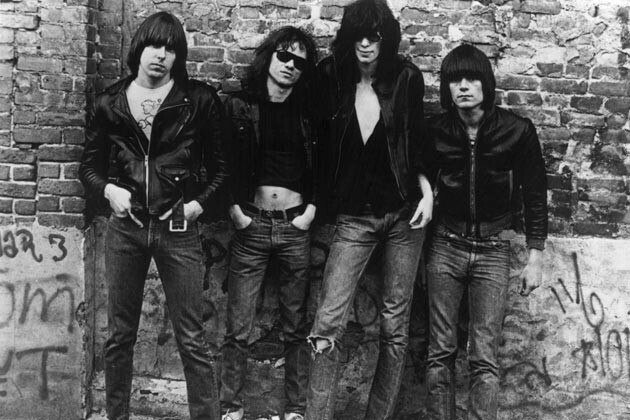 If there was a song that really got me it was “Something To Believe In” by the Ramones. No hymns or choruses or well intentioned gospel story songs. I like the Ramones and although this song wasn’t one of their best it was the one that at the time said just what I was trying to say. Some people don’t care too much for music. And some have never been fans of Status Quo, Prince, Dead or Alive, Emerson Lake And Palmer, Cohen, Bowie or Wham. In fact bands like Quo and Wham have both had their unfair share of derision from the less discerning who label the music as cheese, cheep pop or industry shmuck. There’s a famous story from 1977 – it’s a true story and it goes something like this. At the Vortex on Wardour Street in Londons West End, the DJ interrupts the music to announce that Elvis Presley has died. There’s a huge cheer goes up from the punk crowd and doesn’t subside until Radio presenter Danny Baker, a young firebrand on the Sniffing Glue punk fanzine, takes the stage. He launches into a tirade that silences the crowd. He tells them they are cretins and that without Elvis there is no punk rock. And he was so right. 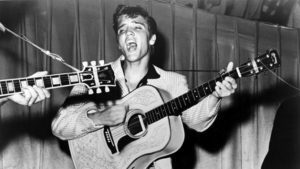 Without Elvis we’d have no rock, no disco, no heavy metal, or grunge or any one of a million other fragmenting genres and that includes the modern stuff we hear and play in our churches. Why should we care about the celebrities who have died this year? Because these wrote the soundtracks to our generations. They did an extraordinary thing. And like it or not, they influenced our culture. The industry has a lot to answer for in delivering rubbish to our turntables but the discerning ear will recognise the excellence and skill demonstrated by artists who strove to create what they thought might be the best thing. I was never a Wham fan but George’s voice and song writing ability was incredible. I’ve had ‘Don’t Let The Sun Go Down On Me’ up full volume in the car trying to emulate the incredible vocal track. 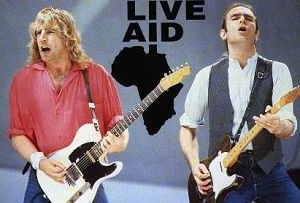 I was never a Quo fan but no one else could have opened live aid the way Rick and Francis did in 1985. They walked on stage in front of a huge crowd and said “Alright! ?” Something I do every gig. The rock and roll world is tough. Prince once said that he’d got to the top of the mountain and found there was nothing there. For the ignorant, It’s easy to write off the lifestyle for its excesses, hedonism and self glory. The guilt of the church is to self righteously point all this out whilst walking off with the cultural treasures the rock and roll world has created. The crime of the church is it’s cheap reproduction of those treasures shoe-horned into a Sunday service. I’m incredibly thankful for the soundtrack that has been created for my life by people who have had their own battles, losses, victories and celebrations. I’m thankful that there is a part of the church that has been a refuge for me in my own rock n roll journey and I’m grateful that there’s the opportunity for the church to be an unconditional sanctuary for the ones who create the culture that shapes the world we live in. Solid critique. Thank you. simpips.